Planning a long distance move? Packing is often the most despised part of moving. It's time-consuming, tedious and stressful. However, it's important to stay organized and properly protect your belongings to prevent damage to your goods. The following tips will help you prepare to pack your home for the long distance drive to your new home! Long distance movers craft your estimate based on the volume of your goods and the distance you are traveling. If you have a house full of unnecessary items and useless junk, sort through and purge belongings to keep your moving bill manageable. Not to mention, the less you have, the less time it will take to organize and pack! While your belongings can easily be damaged moving locally, long distance moves only increase the risk. Your prized possessions will be traveling on the truck for miles. They may be handled several times and transferred to other trucks or temporary storage along the route. To ensure your goods arrive without a scratch, it's imperative to only use high-quality, professional moving supplies. TIP: Be wary of free boxes as they will not have the same strength and integrity as new ones. Previously used boxes should only be used for non-fragile items. It's important to manage your time during a move. Packing can quickly become a chaotic affair. Turning a household worth of belongings into stacks of neatly packed and organized boxing is no simple task. Packing takes time, and you will have to continue living in your home as it slowly transforms into a sea of cardboard containers. How will you ever keep track of what you have packed and what you haven't? What if you need something after it's taped away in who knows what box? Pack least important items first. Think about what items are most important to your daily routine and leave them for last. This includes cookware, bedding and toiletries. Begin by packing things like out-of-season clothing, books, knickknacks and DVDs. Label everything. Make sure each moving box is clearly labeled with the room, a brief description of contents and "Fragile" for delicate items. This will not only keep you organized during the packing process, but it will make unpacking a breeze. Color-code your boxes. Assign each room in your new home a color, and purchase tape, stickers or markers in those shades. Label each box in the color of the room it belongs in. When your shipment arrives at your new home, hang a key in a prominent place with the colors and their corresponding rooms, so the movers know which rooms to bring the boxes. (For multiple rooms like bedrooms, place a colored marker on the door to help movers differentiate). Keep an inventory list. Make a list of everything you have to pack and check off each item as you wrap and box it up. This will help you keep track of what's already been packed and what is still left to tackle. Focus on packing one room at a time to limit confusion. Glassware, delicate china and other fragile, oddly shaped or sharp items should be properly protected to ensure they don't sustain any damage during transit. Use quality materials. Don't skimp on the packing materials for fragile items. Boxes should be sturdy and strong. Use plenty of protective wrapping (like bubble wrap). Cell boxes are especially effective for wine glasses and other stemware; the thin cardboard dividers keep the glasses from hitting into one another during transit. Work slow. Packing your fragile items requires care and diligence. Don't let moving-related stress cause hasty, rushed packing when wrapping your delicate breakables. Padding is essential. There should be no negative space in your boxes that will allow items to shift during transit. Fill any empty space with crumpled packing paper or foam peanuts to keep your items stationary on the moving truck. Test your padding's effectiveness by (very carefully) closing the box and shaking it. If you can hear your items moving inside, you need to add more padding. Reinforce boxes. Tape the boxes' bottoms as well as the tops to provide reinforcement and prevent the weight of the contents from causing a collapse. Label properly. Always label boxes containing delicate items "fragile" and "this side up". This will ensure the movers are careful when handling these boxes and always carry and set them down in the proper direction. If you have especially difficult items of high value with delicate parts, you may require assistance to properly disassemble and wrap them to avoid costly damage. While your moving company may be trained to handle these items, you should inquire about their experience before enlisting their services to ensure their experience is sufficient. Grandfather clocks are very valuable with extremely delicate parts. A grandfather clock can be useless if not properly taken apart and carefully relocated. Pool tables are expensive and challenging to disassemble. Movers trained to move a pool table can greatly reduce the risk of damage during transport. Piano are heavy and cumbersome with fragile inner workings. You should enlist piano movers to handle the packing and transport of your instrument. Artwork and antiques are very valuable and susceptible to damage during the move. Packing artwork and antiques should be done by professionals as well. When moving long distance, your shipment of household goods can take weeks to arrive at your new home. To make sure that period without your possessions is not too painful, make sure to pack a survival kit with your essentials. If you are traveling to your new home via car, you will have more space to pack items such as blankets, pillows and cookware, so you are not forced to eat out every day until your truck arrives. However, if you are flying, the amount of items you can take aboard the plane is very limited. Consider shipping your bedding via parcel service to make your first few nights in your new home more comfortable. The best way to efficiently pack up your home? Leave it to the professionals! Packing services can complete tasks in one day that would take you weeks. If you are considering professional packers or a full service moving company for your upcoming relocation, simply fill out our fast and easy quote form. 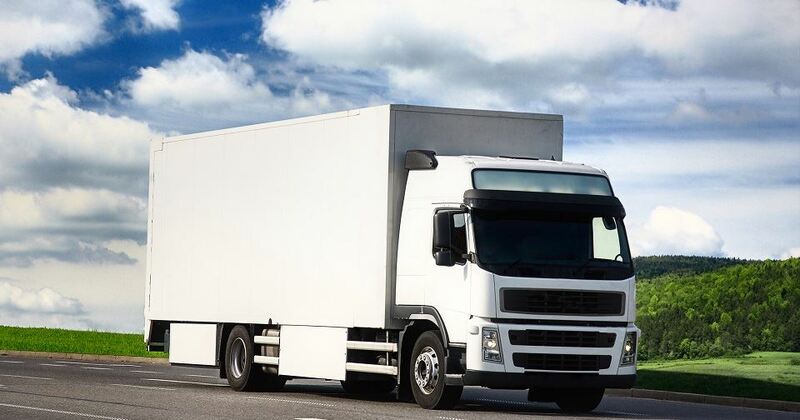 We will connect you with up to seven reliable moving services in your area to provide you with FREE quotes for your move.